Primarily a source of irrigation water for many landholders between Torrumbarry and Koondrook, this magnificent waterway is a haven for an incredible variety of bird life. The calm waters and tree-lined banks provide an ideal location for the more passive recreational pursuits such as photography, bird-watching, canoeing, kayaking and fishing. This waterway, fed by the Murray through the Torrumbarry Headworks, is kept at an ideal level during the irrigation season (August through to May). 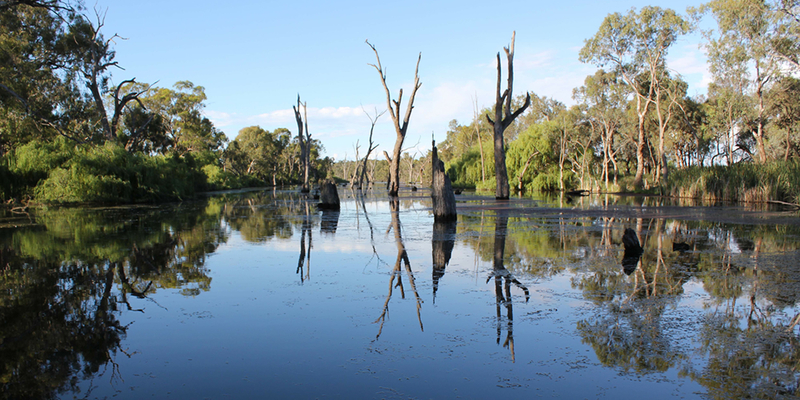 For those visitors looking for a connection to the more peaceful aspects of Torrumbarry’s natural environment, Gunbower Creek is possibly Torrumbarry District’s best kept secret.